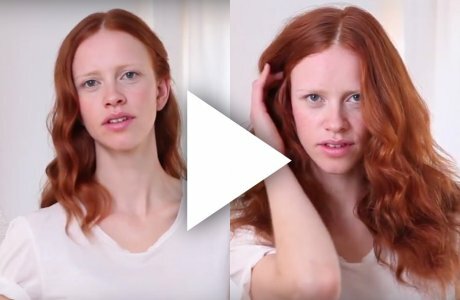 No matter if you have long hair like the gorgeous model Theresa or shoulder-long hair like myself, those curls are my personal favorite. The conical iron is the key for this hairstyle. It seems to be a lot about “quiffs” this season. Well, I love them as they can help to get your face and body in proportion and they are in line with the goth and punk looks which are trending right now. I have always been in love with hairstyles which can be easily changed from natural to glamorous. 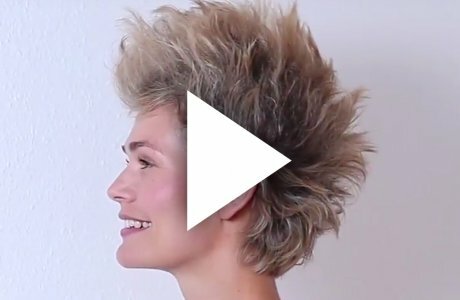 Undercuts and how to fake them has been a huge trend over the last two years. When I had short hair I was missing my long hair… isn’t it always as such that you miss what we don’t have?! The french twist with a rocker’s quiff is a perfect and very cool alternative for the classic french twist. The quiff gives this hairstyle an edge and is a great choice matching a goth look this autumn and winter. I already posted the tutorial Gothic Lips last Sunday.